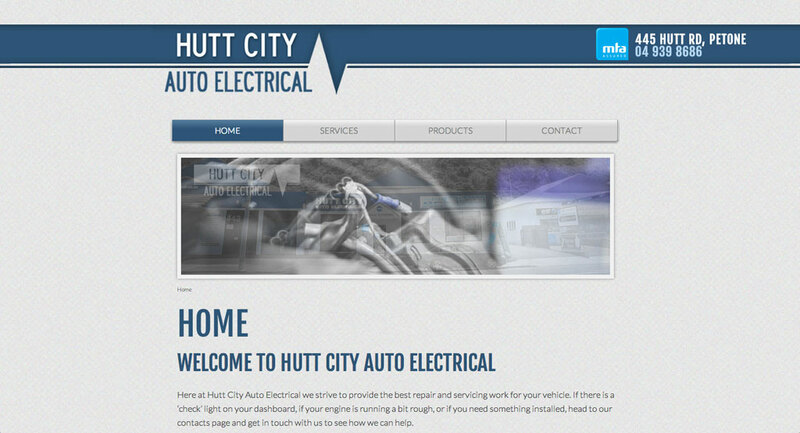 With the recent purchase of the company, my brother needed a new face to Hutt City Auto Electrical. 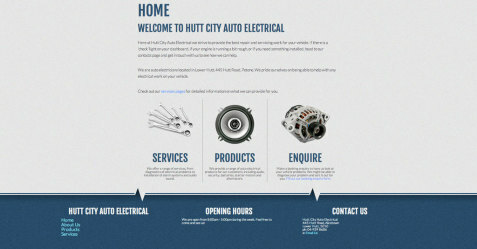 After designing a logo for the company, it was time to update the website to suit. We came up with a list of WordPress themes that he thought were suitable. He wanted a responsive web design to fit onto different devices. This theme is coded from scratch however, and incorporates different elements that have become somewhat standard in web design in this time. I also took a range of photos and then made them black and white except for anything blue, which matches in with the general theme of the logo and workshop. I also developed the use of featured images as well as three column widgets for certain pages, such as the home page. These are enabled through Custom Fields in WordPress, and using a set page template, are then called as “left_col”, “middle_col” and “right_col”. HTML (links, headings, images) can all be coded into these Custom Fields, so these then display as shown above.